Carlyn Davis is the President and founder of Washingtons most respected casting company, Carlyn Davis Casting, Inc. Her credits include over 30 Feature Films, Television, MOWs, Pilots, Commercial Spots (both radio and television), Print, and thousands of industrials. She is the first member ever to be voted into the prestigious Casting Society of America [C.S.A] from the DC/VA area. Carlyn has been Casting in this market since 1992 and is also on the Board of Emmys. Carlyn holds a B.S. in Theatre from Radford University. Lilian Burch, Casting Associate, joined Carlyn Davis Casting in August 2004. Prior to casting, Lilian had been involved in television and film, performing script supervising to production accounting to producing and directing. Lilian was a volunteer at Montgomery Community Television and worked on many productions there as well as independent feature films in the Washington DC area. Lilian has a degree in Genetics and had a career in healthcare information technology while pursuing her interest in film and television production. Lilian has also volunteered for Sundance Film Festival, Tribeca Film Festival, IFP Market, Sarasota Film Festival, and SilverDocs. Originally from Hong Kong, Lilian completed her education at University of California, Berkeley, and lived in a number of places before making her home in the DC area. 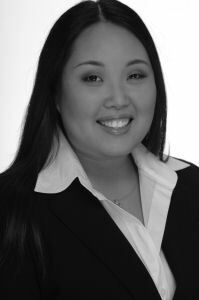 Suzanne Kang, Casting Director, has been with Carlyn Davis Casting since June 2005. She has worked on numerous projects such as upcoming Amazon Series Jack Ryan with John Krasinski, and box office hits such as Ben Affleck's Argo, The Good Sheperd, National Treasure 2: Book of Secrets, and Step Up. Suzanne is becoming a force in this markets Sports Casting Director, Casting anything from Principal Ice Hockey Players, NFL Football Players, to filling the stands with hundreds of Extras. Suzanne graduated from George Mason University with a degree in Communication, concentration in Media Production & Criticism and is a Strong part of our Casting Team. Jen Katz, Casting Assistant, has been with Carlyn Davis Casting since April 2013. 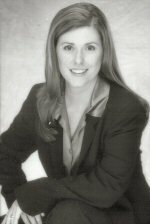 She has worked on various commercials including Amtrak, Comcast, Xfinity, and Volkswagen. She is heavily involed in local community theatre both on and off stage, often working on several projects at once. Jen graduated with a BA in English from Florida State Univeristy and a Masters in English Language and Literature from Mercy College in Dobbs Ferry, NY. She hopes to one day earn her PhD.